Beagles and Books is honored to be part of the blog tour for It’s Show and Tell, Dexter! by Lindsay Ward which recently published in July 2018. Special thanks to Two Lions Publishing and Barbara Fisch of Blue Slip Media for sending me a copy in exchange for an honest review. All opinions are my own. Dexter T. Rexter is going to school. But will anyone like him? Tomorrow is the biggest event ever in Dexter’s life: his best friend, Jack, is taking him to school for Show and Tell Day! Dexter has been getting ready for weeks. But now he’s a little nervous. What if the other kids don’t like him? So Dexter decides to come up with a plan. He’ll wear a costume. Dinosaurs in bunny ears look good, right? He’ll recite state capitals starting with…uh…ah…er. Then he realizes something. He can’t dance. He can’t recite things. He doesn’t have ANY skills. What’s a dino to do? With the first day of school fast approaching, children will easily be able to relate to Dexter’s anxiety. What I especially love is that Lindsay Ward wrote the text from Dexter’s point of view so he speaks directly to young readers or listeners. And no child will be able to contain his or her laughter as Dexter shares his costume ideas as a way of dealing with his apprehension. Children will also empathize with Dexter when he share his true fears that he can’t do something namely be the star of show and tell. Luckily for Dexter, he has the support of young readers reminding him that he doesn’t have to wear a costume or have a routine. He just needs to be himself because he is a pretty special dinosaur. I mean seriously who else can sing like him? What a good lesson to reinforce with children- take pride in yourself and your talents! I look forward to sharing It’s Show and Tell, Dexter! with teachers as a read aloud for the first week of school. Get a sneak peek by watching this adorable book trailer! One lucky winner will receive a copy of both Dexter T. Rexter books–Don’t Forget Dexter! and It’s Show and Tell, Dexter!, courtesy of Two Lions (U.S. addresses). A winner will be chosen on August 29, 2018. Please click on the link below to enter. Beagles and Books wishes a very Happy Book Birthday to Who Eats Orange? written by Dianne White and illustrated by Robin Page. Special thanks to Barbara Fisch of Blue Slip Media for sending a copy of Who Eats Orange? in exchange for an honest review. All opinions are my own. Who Eats Orange? is an engaging and lively informational picture book that teaches young readers about animal diets. Focusing on the color of food, the book begins with the question “Who eats orange?” and then shares four animals that enjoy consuming orange foods. A fifth animal that does not fit the pattern is introduced as a means of transitioning to the next color. Subsequent colors are green, red, yellow, purple, and blue. Written in a repetitive pattern with few words, young children will undoubtedly join in the reading of the text. The page size illustrations are eye-catching and stand out against the white background and vividly show each animal’s anticipation for or pleasure in devouring the delicious food. What I love about Who Eats Orange? is that while it teaches or reinforces colors, children also learn about animals, their habitats, and the foods they eat. Included at the end of the book is backmatter which identifies how each color corresponds to a particular habitat, additional facts about the animals, and the specific names of the foods that were featured in the text. As a teacher, I am always looking for engaging nonfiction picture books to read aloud for #classroombookaday. Who Eats Orange? has earned a spot during my read aloud! Click here for a free activity kit for Who Eats Orange? Diane White has also written other picture books such as Goodbye Meets Hello published in June 2018. To read my review, click here. AROO! 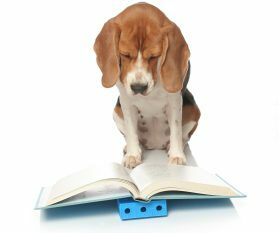 Beagles and Books is celebrating its 1 year anniversary today! Last year on August 10, 2017, Picture Book 10 for 10 was my first ever blog post. I took the leap in book blogging and while initially nervous, I have been overwhelmed by the immense support from not only the incredible #kidlit blogger community but also the amazing authors who write fabulous books for kids (and teachers)! A heartfelt thanks to fellow #bookexcursion member Lisa Maucione of Literacy on the Mind for all her encouragement and support as I launched my blog. I am grateful to Cathy Mere of Reflect and Refine Building a Learning Community and Mandy Robek of Enjoy and Embrace Learning for creating this fabulous event for sharing the power of picture books. 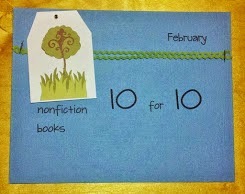 Please visit the Google Community to read additional #pb10for10 lists by clicking here. My 2017 #pb10for10 featured my first #bookaday mascot, Etta and some of my favorite dog picture books. Since Beagles and Books is a celebration of children’s literature and my love for my beagle girls, in January 2018, I decided to include a weekly feature, Etta’s and Bella’s Dog Pick of the Week, highlighting 1 book with a canine main character. Throughout the year, I had the opportunity to read many fabulous dog picture books; therefore, my 2018 #pb10for10 list continues my tradition of sharing 10 positively pawsome picture books that I plan to read and share with teachers and students in the upcoming school year. Sterling is determined to find a home. Sleeping outside the Butlery Cutlery Company, he sneaks into a box of forks that are delivered to the Gilbert family. When the family opens the box and finds Sterling, the mom and dad are perplexed but the daughter‘s and her baby sister’s smiles say it all. Sterling strives to be the best fork ever but soon discovers that perhaps, the family doesn’t need a fork. Being adaptable, Sterling attempts to be a whisk, a rolling pin, and even a stick but none of these tools seems to make him or the daughter happy. Will Sterling ever realizes his one and only job is to just be himself? A very special thank you to Aidan Cassie and Macmillan for sending a copy of Sterling to my #bookexcursion group to read and review prior to its release. To read my full review, click here. A father dog and his son spend the day looking at family portraits in the long hallway of their house. Stopping at each stately portrait, the father extols each relative’s accomplishment but appearances can be deceiving. For example, Uncle Scooter was lauded as an amazing teacher of young sheep but when readers open the gatefold, the truth is revealed; Uncle Scooter’s classroom was a hot mess. After hearing all these stories which are actually contrary to the truth, the son asks his father “What about me?” The father responds “No matter what. You will be a GREAT dog!” exclaiming his faith that his son is destined for greatness. The very last gatefold reveals a surprise to the reader leaving them with a tender and heartwarming message celebrating the unconditional love that parents have for their child. The illustrations are simply exquisite using a limited palette of colors and deserve more time to enjoy on a second read. Author illustrator Anne Bollman’s highly interactive picture book is quite original. A french bulldog named Frank is lost! Can you help in the search to find him? Labeled as exhibits, the narrator offers key information about Frank such as his love for playing fetch, his favorite animal is a squirrel, and beware of his stinky toots so under no circumstances, feed him cheese. Pay close attention to these facts, for they will be crucial to locating Frank. Interviews follow with notes that provides more clues and the reader is asked to make inferences based on some of the previously shared exhibits. Embedded within the story are double page spreads of the park, the baseball field, and the pool where the reader is asked to find objects and of course, Frank! Emma is a young artist and her most favorite thing to draw, paint, sculpt is her dog named Muse until one day when Muse decides to join her in creating her next masterpiece. Emma shouts “BAD DOG MUSE!” and a heartbroken Muse leaves home. Without Muse, Emma is no longer inspired and needs him to regain her creative juices. Will Emma come up with a plan to find Muse and get him back? Will Muse forgive Emma? Emma and Muse is not only a story about friendship and forgiveness but also a wonderful picture book that exposes young readers to the world of art. In Strictville, fun is forbidden, play is prohibited, and cuteness is downright criminal. So when hundreds of puppies show up, the town is in turmoil. How can they get rid of all these adorable animals? When their solutions fail, all the townspeople run and lock themselves safely in the houses except for little Teddy. Teddy wonders “How could these cute puppies be scary?” With one simple gesture, Teddy teaches the townspeople that fun, play, and cuteness make Strictville a happier place to live. I wholeheartedly agree! Arfy is a dog in search of a forever home. Living in a cardboard box in an alley, he decides to write letters to residents on Butternut Street asking “Can I be your dog?” In each letter, Arfy states why he would be a good fit for them. Unfortunately, Arfy receives letters back turning him down. A sad Arfy returns to his “home” in the alley and wakes up to find a letter addressed to him asking “Can I be your person?” The letter shares reasons why they would be a good match for each other. Read this tender story to discover who wants to give Arfy his furever home. What especially warms my heart is the author’s tips for how to help a homeless animal in the end papers. On the way home, Mini and her mom find a lost dog in the road. Mini wants to keep the dog for her own, but her mom reminds her, “He has shoes. He belongs to someone.” They go to the park where the dog with shoes garners a lot of attention performing tricks. When Mimi takes him off leash to fetch a bone, the dog runs away leaving one shoe behind, and Mini heartbroken. The next day, Mini’s mom takes her to the dog shelter in hopes of finding the dog. Miraculously, the dog wearing only three shoes is there! Knowing how awful it felt to lose him, Mini puts up fliers realizing that there is probably someone out there missing him too. After the dog is reunited with his owner, Mini and her mom know just where to go-the dog adoption center. At the end of the book, the author includes information on how to adopt a dog with links to websites like Petfinder.com, which makes my heart happy. A young girl joins her famous explorer dad on one of his trips. Sailing home, she hears a noise and then something slobbery wakes her up from her sleep. It’s a shark. No. It’s a dog. No. It’s Shark Dog! With her father’s permission, the girl takes Shark Dog home. He is quite an unusual pet stalking a cat like a shark and fetching slippers like a dog when underwater. On a trip to Shark Dog’s favorite place, the beach, he spies what he thinks is another shark dog but it is just a beach toy. This makes Shark Dog very sad. Thinking he is homesick, the girl and her dad decide to take Shark Dog back to his home where he is greeted enthusiastically by his fellow shark dogs. Will this make Shark Dog happy? Read Shark Dog to find out! Tiny smells a bone. A BIG bone. So he starts digging. When a larger dog, a cat, and a bird discount his ability, Tiny maintains his confidence that he is strong enough to bring that bone home. Tiny isn’t the only one who is optimistic, for his young owner also believes in him. Written in rhyme, Tiny and the Big Dig is a story that celebrates strength and determination. Matt Myers’ bold illustrations capture Tiny’s sheer willpower in obtaining his goal-a BIG, BIG bone. And a New Picture Book Releasing September 2018! Missing her mami who is stationed in Iraq, Alma and her abuela decide to welcome a rescue dog into the family. The story goes back and forth sharing Alma and her abuela’s preparations and trip to the Operation Rescue Dog truck as well as rescue pup Lulu’s journey to meet her new family. While Alma is eagerly anticipating meeting Lulu, Lulu is apprehensive with her tail tucked between her back legs. Both Alma and Lulu experience some bumps along the road, but once they meet, they both know they are home. This story holds a very special place in my heart because in 2010, Etta was on a similar transport as Lulu. A very special thank you to Maria Gianferrari for sharing an ARC of Operation Rescue Dog with my #bookexcursion group. It releases on September 18, 2018. To read my full review, click here. Thank you for visiting Beagles and Books’ #pb10for10! Do you have a favorite dog picture book? Please feel free to share in the comments below. Etta, Bella, and I are blogging from western North Carolina about 20 minutes from Asheville in a beautiful cabin bordering the Pisgah National Forest. My husband and I love vacationing in this area for so many reason but most importantly because it is so dog friendly. Yesterday, the girls and I enjoyed a wonderful Sunday on the deck with this beautiful mountain view. Last week, Etta helped me celebrate new picture books releases from Capstone Publishing. To read our full reviews, please click here. Carlos’ mother is a detective, but her agency is struggling to stay afloat. To make matter worse, she is sick with the flu and can’t begin the investigation for her latest case which is identifying the person sending death threats to Guinevere LeCavilier, a wealthy older woman. Carlo’s mom asks him to call her partner Cole, but Carlos decides to take matters into his own hands and recruits his best friend Eliza to join him. Accompanying them is Frank, Eliza’s annoying and obnoxious six year old brother. Will Carlos, Eliza, and Frank be successful in cracking the case? Well, that all depends on the reader who must help them make choices and solve puzzles to find the perpetrator. Growing up, I devoured the Choose Your Own Adventure series because I loved having a role in the outcome of the story. Mystery in the Mansion, the first book in Lauren Magaziner’s new Case Closed series transported me back to my childhood and I must share that I love her format even better! Why? When readers come to a part of the story when they must make a choice, there may be two, three or even four options from which to choose. In addition, readers may be required to solve a puzzle to identify the next page that will move the plot along. And while some puzzles are simple, others prompt readers to get out pencil and paper, brush up on their math or even call in for help (Confession: I had to seek my husband’s support a few times). After finally solving the case (Yes-it took me a few tries), I went back to the beginning of the story to start over. I became quite addictive to discovering if there were multiple good endings but even a wrong turn was fun because of Lauren Magaziner’s creative and humorous plot. 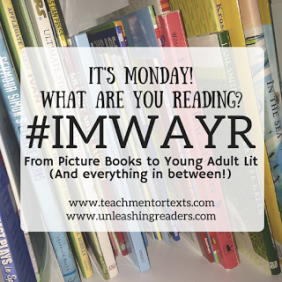 Not only am I excited to share this original new series with students, I believe it would be a great class read aloud and in a recent tweet, Lauren Magaziner provides some read aloud tips for teachers. And the best part of all-Case Closed is a series! Looking forward to more adventures with Carlos, Eliza, and of course, Frank’s hilarious antics! A very special thanks to Lauren Magaziner for sending an ARC of Case Closed to our #bookexcursion group. Pre-order now so that you can begin your adventure on August 14, 2018. For fans of The Fourteenth Goldfish, The Third Mushroom is a sequel we have all been waiting for. A year has passed with some changes. Ellie has a cat named Jonas, she and her best friend Raj are in the seventh grade, and Ellie’s mom and Ben are now married. Ellie’s seventy-seven-year-old scientist grandfather Melvin though is still living in the body of a fourteen year old boy. Tired of being on the road, Melvin returns to town with dirty laundry in hand. Ellie is elated that he is back and while Melvin is happy to see his granddaughter, he is not excited to return to middle school pretending to be her cousin. Still his grumpy old self, Melvin makes the best of it by being Ellie’s partner on a science project for the county fair. Through their collaboration, Ellie learns valuable life lessons. Her most important observation is realizing that when an experiment fails, a true scientist always learns from her mistakes. Written in short chapters and told through Ellie’s point of view, The Third Mushroom is sequel that does not disappoint. Jennifer Holm does an excellent job continuing the story. Ellie is one of my favorite middle grade characters because of her curiosity, thoughtfulness, and versatility. While her mom and grandfather are polar opposites, Ellie can appreciate both the theatre and science. She is also very observant especially when it comes to her friendships whether it be with her old friend Brianna, her best friend, Raj or her grandfather Melvin. A very special thanks to Random House Kids for sending an ARC of The Third Mushroom to our #bookexcursion group. Pre-order now so that you can catch up with Ellie and Melvin on September 4, 2018. In the second book in the series, animal lover Lulu, her best friend and cousin Mellie, her parents, and her dog Sam take a vacation to a cottage by the sea. Upon arriving, her family discovers that there is a stray dog living on the beach. The owner of the cottage warns Lulu and her family that the “dog from the sea” is a menace and needs to be caught by the dog catchers like the rest of his family. Lulu takes a special interest in the stray dog attempting to make friends with him throughout their trip. Will Lulu be able to tame the “dog from the sea” and convince her parents and of course Sam that they have room for one more animal? Animal books are always in high demand. I am always on the lookout for “new to me” illustrated chapter books and the Lulu series will be a great addition to my classroom library. I especially loved author Hilary McKay’s description of getting Sam ready for vacation. While we didn’t pack a suitcase for Etta and Bella, we brought a few dog beds and other items so that the beagle girls feel at home. Lulu’s family is delightful, for her mother is determined to make a dent into her TBR stack of books including War and Peace, her dad has aspirations of training for the next marathon, and Mellie can’t wait to construct and fly her birthday kite. Happy Book Birthday to Capstone Publishing August Picture Book Releases! It’s August 1st! Beagles and Books is proud to share 5 fabulous new Capstone Publishing picture books that are celebrating their book birthdays today and 1 title that will be released in September. A special thank you to Jennifer Glidden who has provided these ARCs to my #bookexcursion group. All opinions are my own. Harrison loved life but, his excitement was becoming a problem. He sat too close, shook hands too long, hugged a little too much and talked way too close. Harrison was a personal space invader. After hearing complaints, Harrison’s father taught him a simple technique called the Space Saver to help him give others their own personal space. While the Space Saver solved the problem, it created another problem when Harrison gave his friends too much space. With continued support from his family, teacher, and friends and his own self-awareness and restraint, Harrison is bound to meet with success! Working with students for over 20 years, I sincerely thank the author Christianne Jones for writing an entertaining and humorous picture book that can teach students a valuable skill. Young children struggle with understanding the definition of personal space; the Space Saver rhyme will be a welcome strategy for teachers to use with students. I am a big fan of Cale Atkinson’s illustrations and his drawing of Harrison sweetly demonstrates the young hippo’s enthusiasm, for life, his true concern when his father shared the problem , and sheer determination to improve. 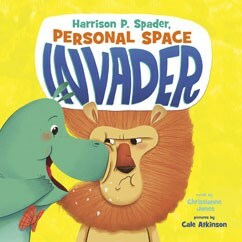 A great story for the beginning of the year, I cannot wait to share Harrison P. Spader, Personal Space Invader with teachers and students. Marvin, a moose and Woody, a beaver are the best of friends. 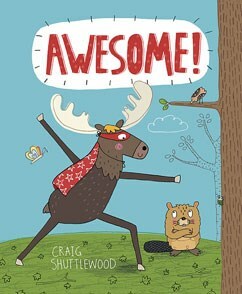 After Moose rescues a squirrel falling from a tree, he becomes a local hero in the forest. Moose who was once ordinary is now awesome, and his new-found popularity means Woody and Moose spend less time together. Feeling left out, Woody concocts a plan to get some attention of his own, but his actions are not-so-awesome. Will Moose and Woody be able to be repair their friendship? With bold and vibrant illustrations, Awesome! is a great read aloud. Young students will be able to connect to this engaging story which explores themes of friendship, jealousy and forgiveness. 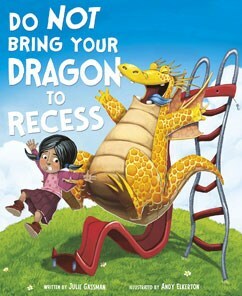 The third book in the series, Do Not Bring Dragons to Recess teaches children about the dos and don’ts of recess. Written in rhyme, Dragon demonstrates what not to do during recess such as running down the hall, hogging the monkey bars, and pushing the merry-go-round too fast. Children will love actively participating in the read aloud chanting the repetitive refrain, “So Do Not Bring Your Dragon to Recess!” Fortunately, with the help of his classmates and teachers, Dragon learns recess etiquette such as having patience, taking turns, sharing, and showing respect and kindness. This amusing story with large, eye-catching illustrations would be a great read aloud for the beginning of the year to reinforce following recess rules with young children. When eating, Piper is a picky little pig! She has one simple rule for her food: It must begin with the Letter P. Piper prefers pancakes over waffles, pears instead of apples, and peas rather than beans. Looking for a solution, Piper’s mother attempts to hide veggies in pineapple upside down cake but Piper is not tricked. Will Piper ever change her picky habits? 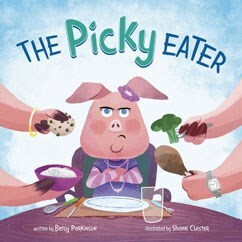 The Picky Eater is a title in Capstone’s Little Boost series, which are books that tackle early life lessons in a funny and relatable manner. As a teacher, I could also see reading this story to reinforce the letter p and its sound to pre-kindergarten or kindergarten students. Unstoppable is a nonfiction narrative picture book which shares a biography of Jim Thorpe, who was the great-great grandson of Sauk warrior Black Hawk. While some details from his early life are shared, the focus of the text is Jim’s journey to becoming a star on the Carlisle Indian Industrial School football team which was due to his determination and perseverance. The story ends with the legendary 1912 game between Carlisle and West Point, which was advertised by sportswriters as a rematch between the Army and the Indians who had fought on the battlefield 20 years before. Carlisle was victorious beating Army 27-6 with Jim integral to the team’s surprising win. 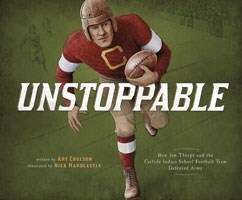 Unstoppable is written for an upper elementary audience, but teacher guidance is crucial, for in the afterword, Author Coulson, Cherokee, provides additional and important context about the story such as a brief biography of Jim which provides greater detail about the hardships in his early life, a list of the other members of the 1912 Carlisle Indians Varsity Football Team, a biography of Carlisle coach Pop Warner, historical information about The Carlisle Indian Industrial School, and a glossary. A title in Capstone’s Code Play series written by developer and designer Caroline Karanja, Gabi and her best friend are coding creatives. Adi loves to make things and say “I wonder…” and Gabi likes to fix things and say “What if..” In this story, Gabi and Adi use if/then statements to help them with gardening. For example, “If it doesn’t rain, then they water the plants.” The girls engage in a game of If/Then taking turns being the programmer and computer. When Gabi does not follow Adi’s command, Gabi explains that there is a bug in the code and how a programmer needs to ask questions to solve the problem. 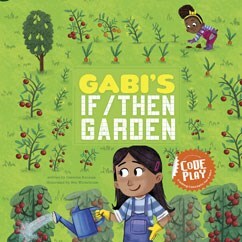 Gabi’s If/Then Garden will appeal to both teachers, students, and parents because it uses a narrative format to introduce coding concepts to children. Sidebars explain the definitions for coding terms such as if/then statements and bugs in the code. Included at the end of the book is matching if/then activity and a glossary of terms. After reading, I can see children engaging in games of If/Then which is a great way to develop critical thinking and problem solving skills. Gabi’s If/Then Garden releases on September 1, 2018. Where do you sit on Thanksgiving when you are between a tot and a teen? Unfortunately, for this eight year old girl, she is forced to sit with the much younger crowd and is not happy about it! Written in rhyme, The Kiddie Table is a hilarious yet honest story about that awkward period when you are stuck in between. Will the girl be able to convince the adults that she deserves a spot at the their table? 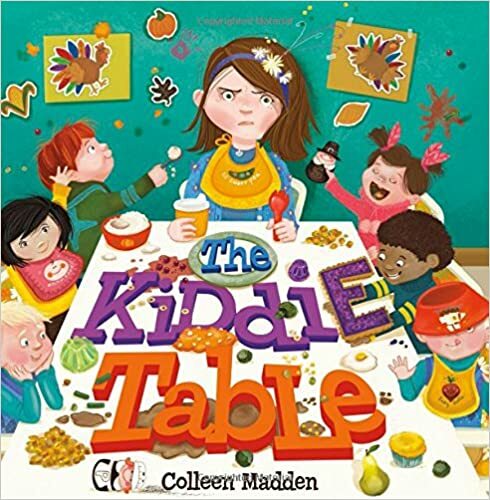 The Kiddie Table is a story that will amuse students because it is funny and relatable. We all have experienced a time when we feel out of place. A good read aloud for before Thanksgiving, the story also teaches us if you have to sit at the kiddie table, be thankful for family, fun, growing up, and drinking without a sippy cup!